Hundreds of children as young as eight have been caught with drugs in school, according to police figures. Cannabis was seized more than any other - with 625 cases since 2011. And in one of the most shocking cases, a 14-year-old student was found with heroin worth £500 in Greater Manchester. 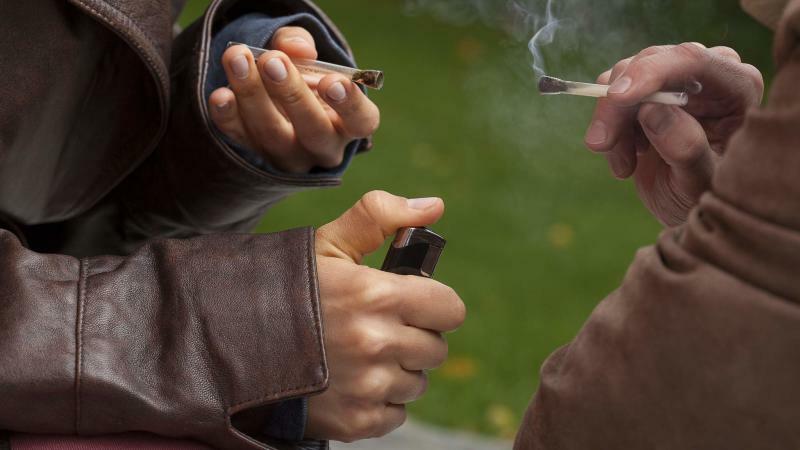 Chris Keates, general secretary of the NASUWT teaching union, said: "Any incident of drugs on school premises is worrying as it will often only be the tip of the iceberg of what young people are encountering on the streets. "Teachers and school leaders are always alert to the potential for young people being involved in drug or alcohol abuse. "Unfortunately, many of the programmes and specialist support on which schools could rely to assist them in supporting and educating young people in the perils of substance abuse have been cut under this coalition government." The data, from 34 police forces dating back to 2011, was released under the Freedom of Information Act. Forces revealed Class A drugs such as heroin, LSD, ecstasy and crack cocaine were among the illegal substances seized. The highest number of incidents and offences for the three complete years from 2011/12 - 2013/14 was 229 in Hampshire. There was 144 incidents at schools in Avon and Somerset, and 138 in the West Midlands. In Wales, South Wales police reported 92 incidents. Only four incidents involved children under 11, including an eight-year-old and a nine-year-old in Staffordshire primary schools who were caught with cannabis. The majority of incidents (241) involved 15 to 16-year-olds, ahead of 11 to 14-year-olds (231 incidents). The figures showed a slight year-on-year decrease in the number of incidents, from a peak of 657 in 2011/12, to 611 and 560 the following years. There were 407 incidents to the end of 2014.